Cap Connection carries a complete selection of truck racks suitable for personal and commercial vehicles hauling ladders, tubing, lumber and all kinds of long or bulky cargo. We work with the best brands in truck accessories to provide our customers across southeast Wisconsin with the best quality products and prices on ladder racks designed to work with your truck cap, built-in tool box, bed liner and other truck bed accessories. We’ve partnered with the best brand names in ladder racks so you can benefit from a large selection, low prices and expert installation on any make or model of truck, van or other utility vehicle. 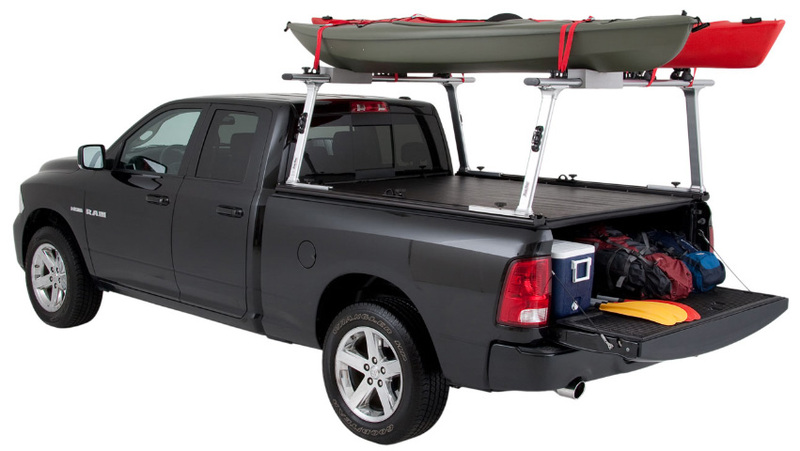 Whether you need a side or top mount ladder rack, sport rack or compact truck rack, Cap Connection truck accessory experts will help you find the exact truck accessory you need. Contact Waukesha’s ladder rack dealer today for information on pricing and special orders!